The countdown to the end of school is here! My big boy has 7 more school days left! 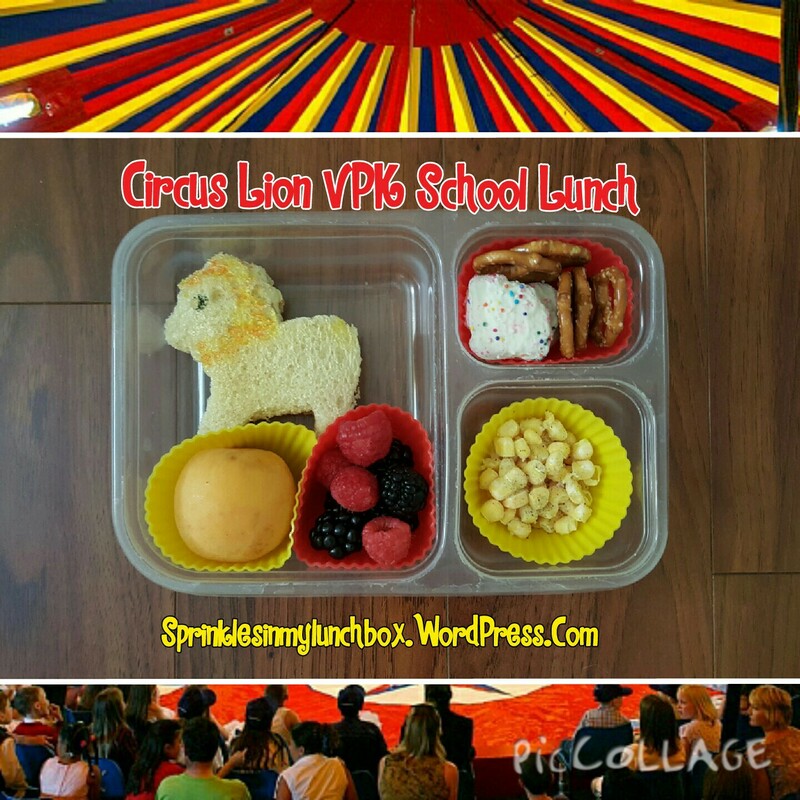 This second-to-last-week’s theme is…drumroll……CIRCUS!!! I think I like the idea of a circus. I don’t remember ever having been to one, although I might have, as a child. I think it would be exciting, what with all the corndogs and cotton candy. I’m not so sure about the animals though. I don’t know enough about their treatment and training to feel comfortable about the way they enjoy their life in the circus. I like the circus and carnival theme a lot, however. I even used it for my Bigs’ 4th birthday party. I went with the lion! I made a lion-shaped PB&J, and used some gold spray and Food Writers to add details. I also packed a beautiful, sweet, fuzzy aprium (a cross between an apricot and a plum), raspberries, blackberries, seasoned corn, a few pretzels, and some iced animal crackers for dessert.